Fairbank, Hedley Frank; ​Taken on strength 31 Battery 15th (Vancouver) Coast Brigade RCA NPAM 31 Jul 1940, assigned regimental number VV9429, assigned new regimental number K415541. Fairhall, Albert Wesley; Taken on strength 31 Battery 15th (Vancouver) Coast Brigade RCA NPAM 6 Aug 1940, assigned regimental number VV9430, assigned new regimental number K415542. Fairlie, John Frederick; Taken on strength 15th Field Artillery Regiment RCA on 1 Jul 1974, released 25 Aug 1974. Fairweather, David Bruce; Attested Canadian Overseas Expeditionary Force 7 Jan 1916, regimental #308611, arrived England 12 Mar 1916, embarked to France 14 Jul 1916 for service in the 44th and then 38th Batteries, struck off strength to the 68th Battery 16th Brigade North Russia Expeditionary Force 21 Aug 1918, proceeded overseas 20 Sep 1918, disembarked Archangel 1 Oct 1918, promoted Bombardier 14 Apr 1919, embarked for the United Kingdom 18 Jun 1919, to Canada 5 Jul 1919, discharged 17 Jul 1919, deceased 4 Oct 1959, interred Prince Albert SK. ​Faliszewski, Peter Ladislaus; Taken on strength as an Artillery Officer Cadet in 15th Field Artillery Regiment RCA on 30 Apr 1981, qualified RESO 1 & 2 on 14 Aug 1981, promoted Second Lieutenant on 1 Sep 1981, qualified Non-Trade Driver on 20 Feb 1982, qualified RESO Phase 3 on 14 Aug 1982, promoted Lieutenant on 1 Sep 1982, qualified Artillery Captain Qualifying Block 9 on 4 Aug 1982, qualified MITCP Block 7 on 23 May 1985, qualified MITCP Block 8 on 31 May 1985, Qualified YOTC Block 10 on 9 Aug 1985, promoted Captain on 1 Sep 1982, qualified Artillery Major Block 12 on 21 Jun 1989, promoted Major on 15 Oct 1992, transferred to Supplementary Ready Reserve on 11 May 1993. Falletta, Antonio​; ​Taken on strength 15th Field Artillery Regiment RCA on 4 Jul 1977, released 28 Aug 1977. Fallon, Ronald; Taken on strength 15th Field Regiment RCA on enrolment with former service in Canadian Army (Active) on 19 Sep 1955, promoted substantive Sergeant on 19 Sep 1955, promoted Acting Staff Sergeant on 15 Feb 1957, reverts to substantive Sergeant on 15 Sep 1957, struck off strength on release on 15 Sep 1957, taken on strength on 13 Nov 1958. Fang, Edward J; Taken on strength as a Gunner in 15th Field Artillery Regiment RCA, Private in 2017. Farahbakhsh; Taken on strength 15th Field Artillery Regiment RCA, Second Lieutenant 2018. Farmer, Stephen Glenn; Taken on strength as a Gunner in 15th Field Artillery Regiment RCA on 25 Mar 1982, released on 30 Apr 1983. ​Farquharson, J; Taken on strength Rocky Mountain Rangers, attach posted to 15th Field Artillery Regiment RCA on 2 Oct 1976, cease attachment on 1 May 1977. Farrell, Michael Terrence; Taken on strength with Prince Edward Island Heavy Brigade Canadian Garrison Artillery, taken on strength as a Gunner with the No. 5 Siege Battery Canadian Garrison Artillery on 26 Jul 1916, embarked on the S.S. Southland on 26th Sep 1916, unit renamed 8th Siege Battery Canadian Garrison Artillery on 31 Mar 1917, landed in France on 31 Mar 1917, absorbed into 3 Brigade Canadian Siege Artillery on 3 Apr 1918, gunshot wound to right thigh on 3 Aug 1918, invalided to England on 11 Aug 1918, attached to 2 CCD on 23 Sep 1918, taken on strength Canadian Artillery Reinforcement Depot 29 Oct 1918, struck off strength to Canada on 28 Jan 1919, discharged 7 Feb 1919, deceased 26 Feb 1959. Farrow, Richard Charles; Previously served in 9th Militia Battery Canadian Field Artillery, 72nd Canadian Seaforth Highlanders, 2nd Overseas Draft Vancouver Volunteer Artillery Reserves, served in 81st Battery Canadian Field Artillery Canadian Expeditionary Force, transferred to Royal Flying Corps 15 Feb 1917, served with 63rd Squadron and 10th Squadron, relinquished Royal Flying Corps commission on 29 Jan 1919, Lieutenant in Corps Reserve for 15th Brigade Canadian Field Artillery in 1922, 85th Battery in 1924, deceased 20 Feb 1950. Fast, George; Taken on strength 15th Field Regiment RCA on enrolment with former service in Canadian Army Militia on 13 Jun 1955, struck off strength on release on 26 Jun 1956, taken on strength on enrolment on 14 Mar 1957, struck off strength on release on 1 Aug 1957. Fast, Henry; Taken on strength 15th Field Regiment RCA on enrolment with former service in Canadian Army Reserve on 30 May 1955, struck off strength on release on 7 Jun 1956. Fast, Jacob; Taken on strength 15th Field Regiment RCA on enrolment with former service in Merchant Navy on 16 May 1955, struck off strength on release on 1 Aug 1957. Faulkner, John Henry; Taken on strength as a Gunner with 58th Battery 15th (Vancouver) Coast Regiment RCA NPAM on 7 Aug 1940, assigned regimental number V9936, assigned new regimental number K416553. Fawcett, Edgar Lionel; Ten years in 5th Canadian Garrison Artillery, Fitter Sergeant-Gunner in Headquarters 15th Brigade Canadian Field Artillery in 1916, Acting Staff Sergeant in 1918, awarded Distinguished Conduct Medal in 1918 for action at Valenciennes, deceased 6 July 1925. Fawcett, J; Attached FAP from Canadian Scottish Regiment to 15th Field Regiment RCA as Major on 19 Jul 1952 ceases attachment on 2 Aug 1952. 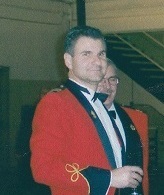 Fekete, Aloysius F; Private in the Regimental Band from 1989 to 1990. Feldstein, Morry David; Taken on strength 15th Field Artillery Regiment RCA on 1 Mar 1978, released 1 Dec 1978. 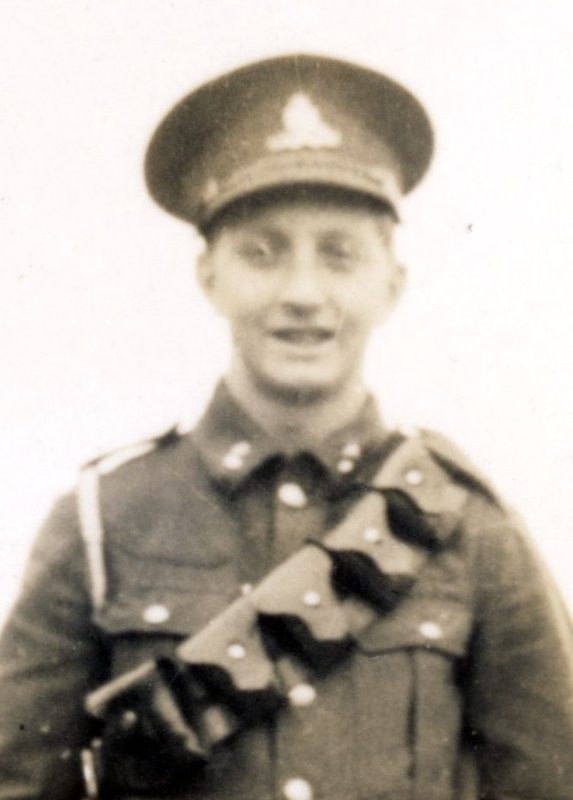 Fensome, Albert Edward; Taken on strength 15th Field Regiment RCA on 28 Mar 1955, struck off strength on transfer to The Westminster regiment on 1 Jul 1955. Ferguson, Gordon Alexander; Taken on strength 4th Canadian Artillery from 1911 to 1913, taken on strength with Prince Edward Island Heavy Brigade Canadian Garrison Artillery, taken on strength as a Gunner with the No. 5 Siege Battery Canadian Garrison Artillery on 22 Apr 1916, embarked on the S.S. Southland on 26th Sep 1916, unit renamed 8th Siege Battery Canadian Garrison Artillery on 31 Mar 1917, landed in France on 31 Mar 1917, multiple gunshot wounds on 17 Jul 1917, died of wounds received in action on 19 Jul 1917, buried at Longuenesse (St. Omer) Souvenir Cemetery. Ferguson, H McL; Lieutenant in Corps Reserve for 15th Brigade Canadian Field Artillery from 1922 to 1924. Ferguson, James Henry; Taken on strength as a Gunner with 85th Battery 15th (Vancouver) Coast Regiment RCA NPAM on 9 Aug 1940, assigned regimental number V10462, assigned new regimental number K417530. Ferguson, Robin Stephan; Taken on strength as a Gunner in 15th Field Artillery Regiment RCA on 18 Jun 1992, qualified QL2 General Military Training on 24 Jul 1992, qualified QL3 Artilleryman on 14 Aug 1992, qualified Artillery Recce Technician Part 1 on 29 May 1993, qualified QL4 Artillery Technician Part II (CP) on 28 Jul 1993, promoted Bombardier on 19 May 1994, released 29 Nov 1994. Ferguson, Terence Lee; ​Taken on strength 15th (Vancouver) Coast Brigade RCA on 3 Jul 1940, transferred to 1st Battalion Irish Fusiliers 2 Oct 1941, overseas on 14 Jun 1942, transferred Calgary Highlanders 30 Oct 1943, transferred 1 Canadian Ordnance Reinforcement Unit 11 May 1943, qualified Storeman (Ord) Group 'C', demobilized 18 Sep 1945, deceased 3 Nov 1989. Fernandes, Alexander Carlos; Taken on strength as a Gunner in 15th Field Artillery Regiment RCA on 30 Nov 1985, qualified General Military Training on 1 Feb 1986, qualified TQ1 Artillery on 10 Apr 1986, qualified TQ2 Basic Artillery Technician on 9 Aug 1986, promoted Bombardier on 30 Nov 1986, qualified TQ2 Artillery Communicator on 16 Nov 1986, qualified Non-Trade Driver on 6 Dec 1986, released 23 Sep 1987. Ferrier, Alexander Blackwood; Taken on strength from General List to 15th Coast Regiment RCA on 1 Apr 1946 as Lieutenant, struck off strength to the Retired List on 1 Apr 1949. Ferris, Russell; Attested Canadian Overseas Expeditionary Force 5 Nov 1917, regimental #1250820, Gunner 77th Depot Battery, arrived England 3 Apr 1918, struck off strength to 68th Battery 16th Brigade North Russia Expeditionary Force 21 Aug 1918, proceeded overseas 20 Sep 1918, disembarked Archangel 1 Oct 1918, embarked for United Kingdom 18 Jun 1919, to Canada 5 Jul 1919, discharged 15 Jul 1919, deceased 4 Nov 1973 in Saanich BC. Ferris, Wesley William; Taken on strength 15th Field Artillery Regiment RCA on 1 Sep 1980, released 5 Mar 1981. Ferystek, Magdalena Katarzyna; Taken on strength 15th Field Artillery Regiment RCA on 3 Jul 2002, qualied Basic Military Qualification on 5 Aug 2002, qualified Driver Wheeled on 2 Aug 2002, qualified Artillery Communications on 16 Mar 2003. Field, Howard Samuel William; Taken on strength as a Gunner with 58th Battery 15th (Vancouver) Coast Regiment RCA NPAM on 31 Jul 1940, assigned regimental number V9937, assigned new regimental number K416554. Field, WDL; Sergeant listed on the Warrant Officers and Sergeant’s Mess gong. Fielding, Howard Anthony; Taken on strength in 15th Field Regiment RCA on 2 Oct 1952, appointed Lance Bombardier on 15 Feb 1955, promoted Acting Bombardier on 1 Oct 1957. Fielding, Sydney Phillip; Taken on strength with Prince Edward Island Heavy Brigade Canadian Garrison Artillery, taken on strength as a Gunner with the No. 5 Siege Battery Canadian Garrison Artillery on 24 Apr 1916, embarked on the S.S. Southland on 26th Sep 1916, unit renamed 8th Siege Battery Canadian Garrison Artillery on 31 Mar 1917, landed in France on 31 Mar 1917, gassed 29 Jul 1917, rejoined unit 6 Aug 1917, on fillerphone course 20 Aug 1917, rejoined unit 27 Aug 1917, to Corps rest camp on 26 Sep 1917, rejoined unit 5 Oct 1917, proceeded on leave 26 Jan 1918, rejoined unit 12 Feb 1918, absorbed into 3 Brigade Canadian Siege Artillery on 3 Apr 1918, awarded Military Medal on 24 Jan 1919, 10 days leave in Paris from 28 Jan 1919, proceeded to England on 28 Mar 1919, embarked for Canada on 3 May 1919, discharged 18 May 1919, deceased 2 Jan 1976. Figueroa, Stephan P; Taken on strength as a Gunner in 15th Field Artillery Regiment RCA, Gunner from 2008 to 2009, Bombardier from 2010 to 2014. Figueroa-Barrer, SAA; Gunner from 2007 to 2009. Filyk, Steven; Captain in 15th Field Artillery Regiment RCA in 2017. Findlay, Peter Alan; Taken on strength as a Musician in 15th Field Artillery Regiment RCA on 31 Oct 1974, released 5 Jul 1977. 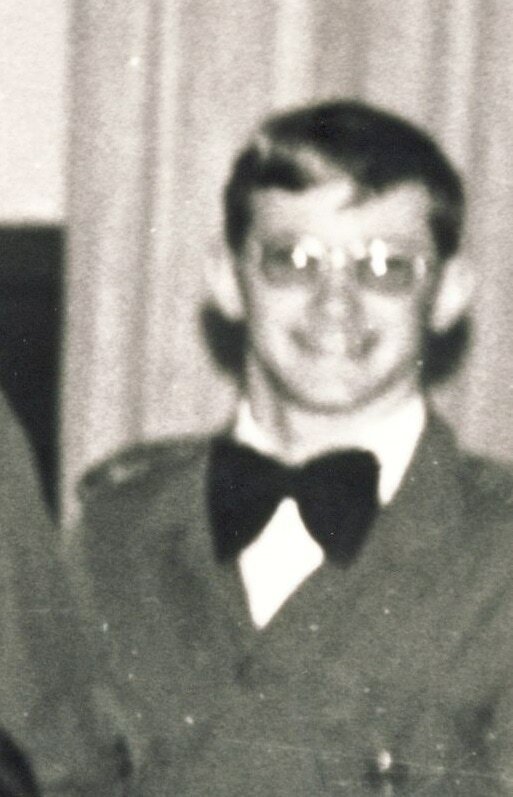 Findlay, PA; Private in the Regimental band in 1976. Findlay, William Royal; Taken on strength in 15 Field Regiment RCA on 15 Sep 1949, appointed Lance Bombardier on 9 Dec 1949, appointed Acting Bombardier on 23 Mar 1950, appointed Acting Sergeant on 11 May 1950, confirmed Sergeant on 29 Nov 1951, appointed Acting Warrant Officer Class II on 10 Apr 1952, reverts to the rank of Sergeant on 24 Sep 1953, struck off strength on 24 Sep 1953. Finglah, Bert; Attested Canadian Overseas Expeditionary Force 24 Sep 1914, regimental #42118, Gunner 3rd Battery 1st Brigade, wounded right leg 12 Mar 1918, struck off strength to 68th Battery 16th Brigade North Russia Expeditionary Force 21 Aug 1918, proceeded overseas 20 Sep 1918, disembarked Archangel 1 Oct 1918, embarked for United Kingdom 18 Jun 1919, discharged 15 Aug 1919. Finley, James Harvey; Attested Canadian Overseas Expeditionary Force 10 Nov 1915, regimental #305519, Gunner 32nd Battery, arrived England 27 Dec 1915, arrived France 2 Mar 1916, 2nd Divisional Ammunition Column, taken on strength to 68th Battery 16th Brigade North Russia Expeditionary Force 23 May 1918, proceeded overseas 20 Sep 1918, disembarked Archangel 1 Oct 1918, appointed Acting Bombardier 2 Jun 1919, embarked for United Kingdom 18 Jun 1919, to Canada 5 Jul 1919, discharged 15 Jul 1919, deceased 29 Aug 1977, interred Pinecrest Cemetery Ottawa ON. Fischer, Gerhard Jerry; Taken on strength 15th Field Regiment RCA with former service Canadian Army (A) on 18 Dec 1957. Fischer, William Ernest; Taken on strength 15th Field Artillery Regiment RCA on 4 Jul 1977, qualified Artilleryman on 27 Aug 1978, released 12 Oct 1978. Fish, Robert William; Taken on strength 15th Field Artillery Regiment RCA on 3 Jul 1978, qualified Artilleryman on 2 Jun 1979, qualified Motor Support Equipment Operator Trade Qualification 1 on 30 Jul 1980, qualified Motor Support Equipment Operator Trade Qualification 2 on 15 Aug 1980, qualified Driver Non-Trade on 18 Dec 1980. Fisher, Alexander Whidden; Taken on strength 31 Battery 15th (Vancouver) Coast Brigade RCA NPAM 6 Aug 1940, assigned regimental number VV9431, appointed Acting Bombardier 15 Sep 1940, assigned new regimental number K415509. Fisher, Austin Ernest; Taken on strength in 15th Fd Regiment RCA on 22 May 1952, appointed Lance Bombardier on 15 Feb 1955. Fisher, EP; Captain in 15th Coast Regiment RCA in 1946. Fisher, George Leonard; Taken on strength as a Musician in 15th Field Artillery Regiment RCA on 1 May 1978, released 1 Sep 1979. Fisher, GW; Gunner in 85 Heavy Battery 15th (Vancouver) Coast Brigade RCA CASF on 30 Aug 1939. Fisher, Wallace Garfield; Taken on strength 3rd Regiment Canadian Artillery 1898, released 1908, attested Canadian Overseas Expeditionary Force 29 Sep 1914, appointed WR from GR 29 Sep 1914, confirmed Farrier Sergeant 30 Nov 1914, embarked 9 Feb 1915, Divisional Artillery Column, in France 1 Aug 1915, granted 9 day leave from 7 May 1916, granted leave 4 Oct 1916, rejoined unit 15 Oct 1916, proceeded to England on Furlough 19 Feb 1918, posted to Canadian Artillery Reinforcement Depot 19 Feb 1918, Furlough to Canada 25 Feb to 22 Aug 1918, taken on strength Composite Brigade 26 Jul 1918, taken on strength 68 Battery 16 Brigade 21 Aug 1918, proceeded overseas to North Russia Expeditionary Force 20 Sep 1918, disembarked Archangel 1 Oct 1918, embarked Archangel for the United Kingdom 11 Jun 1919, awarded Meritorious Service Medal 11 Jun 1919, to Canada 5 Jul 1919, discharged 14 Jul 1919. Fitterer, Derrick James; Taken on strength as a Gunner in 15th Field Artillery Regiment RCA on 25 May 1985, qualified General Military Training on 9 Aug 1985, released 11 Sep 1986. 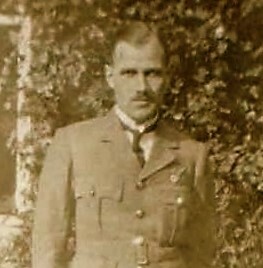 Fitzmaurice, MDA; Lieutenant in 85th Field Battery 15th Field Brigade from 1926 to 1927. Fitzsimmons, Roy William; Taken on strength 15th Field Artillery Regiment RCA on 1 Mar 1977, released 10 Oct 1977. Flack, Peter Reid; Taken on strength in 15th Field Regiment RCA on 15 Oct 1953, struck off strength on release on 30 Sep 1954. Fleischer, Gabriela; Taken on strength in 15th Field Artillery Regiment RCA on 27 Nov 2003, Private from 2006 to 2007, awarded Most Efficient Recruit of the Year trophy 2006, Corporal from 2008 to 2010, awarded Most Efficient Corporal of the Year 1981. Fleming, Charles Sandford; 10 Months in Governor Generals Foot Guards, 15 months in rank, Lieutenant in Headquarters 15th Brigade Canadian Field Artillery in 1916, deceased 16 November 1920. Fleming, Francis Theodore; 68th Battery Canadian Field Artillery Driver May 1916, Fourth Divisional Ammunition Column Aug 1916, England Sep 1916, France 54th Battery CFA Mar 1917, First Divisional Ammunition Column. Fifth Divisional Ammunition Column Feb 1918, Bombardier, Canada and discharged Jun 1919. Fleming, Ian M; On 1947-1967 list of reunion invitees. Fleming, LG; Private in 85 Battery in 1969. Fleming, Thomas Charles; Taken on strength as a Sergeant Musician in 15th Field Artillery Regiment RCA on 4 Dec 1978, released 1 Nov 1979. Fleming, Tom; Sergeant listed on the Warrant Officers and Sergeant’s Mess gong. Fletcher, Kenneth Stanley; Taken on strength 15th Field Artillery Regiment RCA on 23 Mar 1978, released 7 Sep 1978. 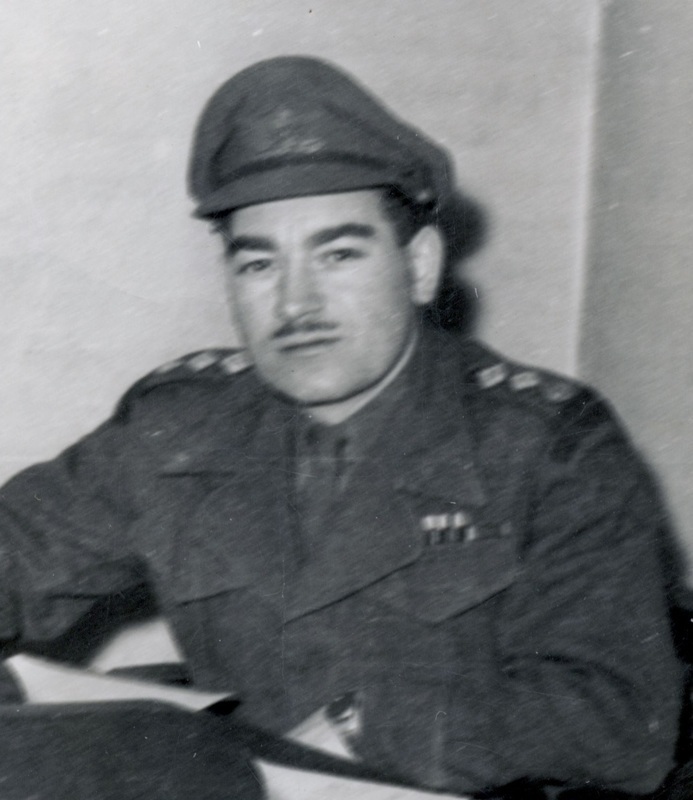 Flett, Heman Thomas; Taken on strength with 15th Field Regiment RCA on 11 Mar 1948, appointed Acting Bombardier on 19 Mar 1948, struck off strength on 20 May 1948. Flower, RA; Lieutenant in 15th Field Artillery Regiment RCA in 1966/1967. 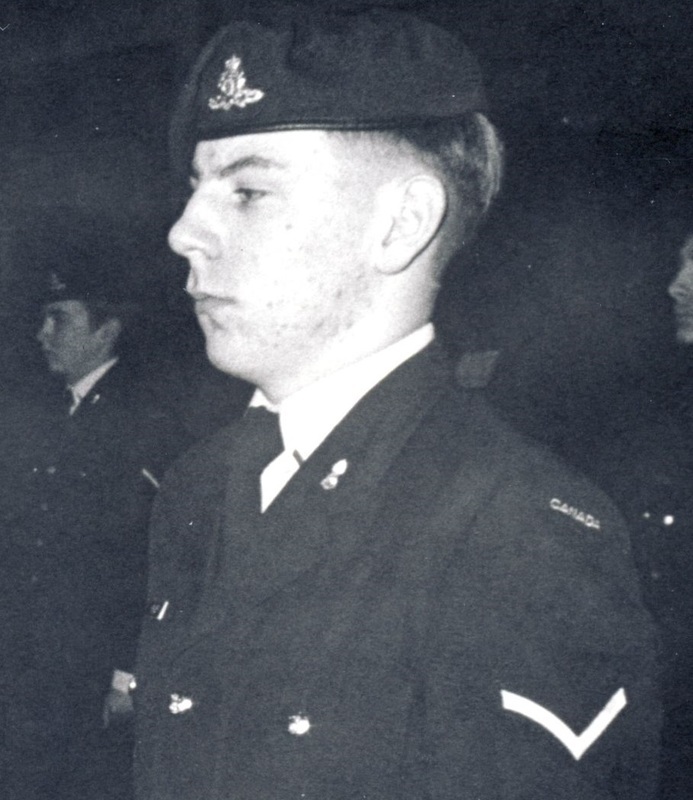 Flumerfelt, Joshua Donald; Taken on strength as a Gunner in 15th Field Artillery Regiment RCA on 7 Jan 1993,qualified QL2 General Military Training on 23 May 1993, transferred to The British Columbia Regiment on 9 Jun 1993. Flynn, KJ; Sergeant listed on the Warrant Officers and Sergeant’s Mess gong. Follis, William Joseph; Attested Canadian Overseas Expeditionary Force 6 Jun 1916, regimental #338988, Gunner in 68 Overseas Depot Battery, arrived England 24 Aug 1916, to 2nd Divisional Ammunition Column in France 17 Nov 1916, struck off strength to 68th Battery 16th Brigade North Russia Expeditionary Force 23 May 1918, proceeded overseas 20 Sep 1918, disembarked Archangel 1 Oct 1918, embarked for United Kingdom 11 Jun 1919, to Canada 5 Jul 1919, discharged 19 Jul 1919, deceased 12 Nov 1973, interred Fraser Cemetery New Westminster. ​Foote, John Kenneth Alfred; Gunner in 85th Heavy Battery 15th (Vancouver) Coast Brigade RCA on Yorke Island, taken on strength with 15th Coast Regiment from retired list as Lieutenant on 8 May 1947 to 1948, promoted Captain on 15 May 1948, appointed Quartermaster on 4 Jan 1952, relinquishes appointment of Quartermaster, struck off strength on transfer to Supplementary Reserve on 1 Jan 1955. 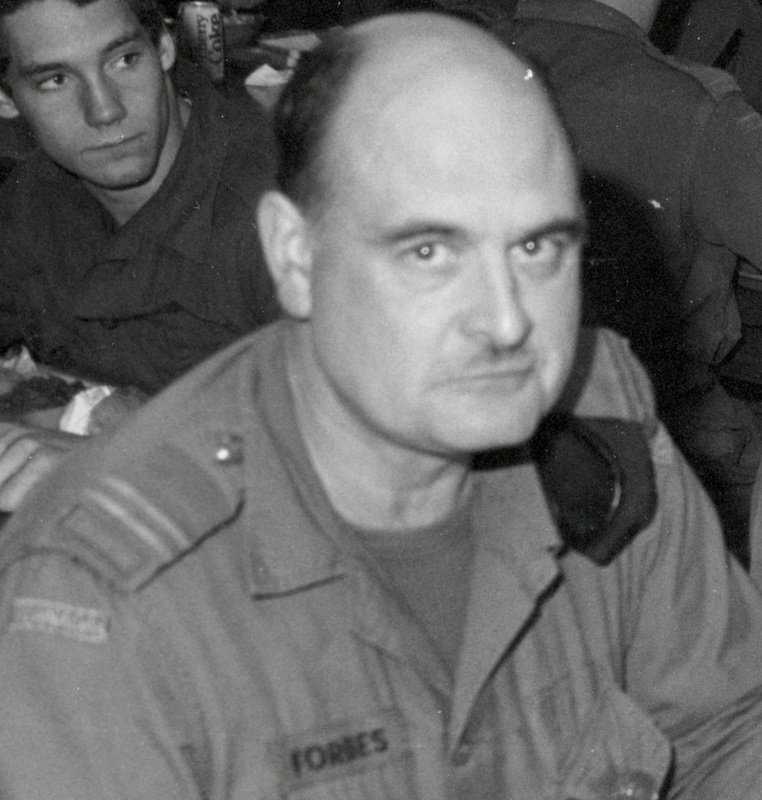 ​Forbes, Francis Duncan; Enroled as Captain Basic Medical Officer with 12 Vancouver Service Battalion on 1 Nov 1977, attach posted to 15th Field Artillery Regiment RCA on 1 Nov 1977, cancel attach posting and transferred to 15th Field Artillery Regiment RCA on 31 Dec 1981, qualified Driver Non-Trade on 20 Feb 1982, cease attachment 25 Mar 1987. 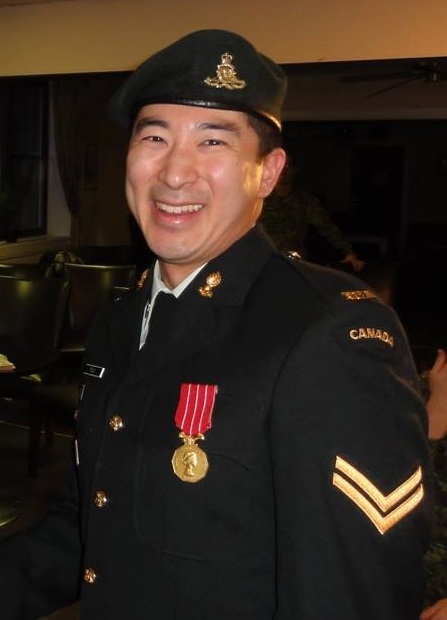 Forbes, Justin WT; Taken on strength as a Gunner in 3rd Field Artillery Regiment RCA on 25 Feb 1992, qualified QL2 General Military Training on 24 Jul 1992, qualified QL3 Artillery on 14 Aug 1992, qualified QL4 Basic Communications on 21 Jul 1993, promoted Bombardier on 25 Feb 1994, transferred to 15th Field Artillery Regiment RCA on 1 Jul 1997. ​Forbes, WO; Taken on strength 15th Field Regiment RCA on transfer from Supplementary Reserve (RCA) as Lieutenant on 1 Nov 1955. 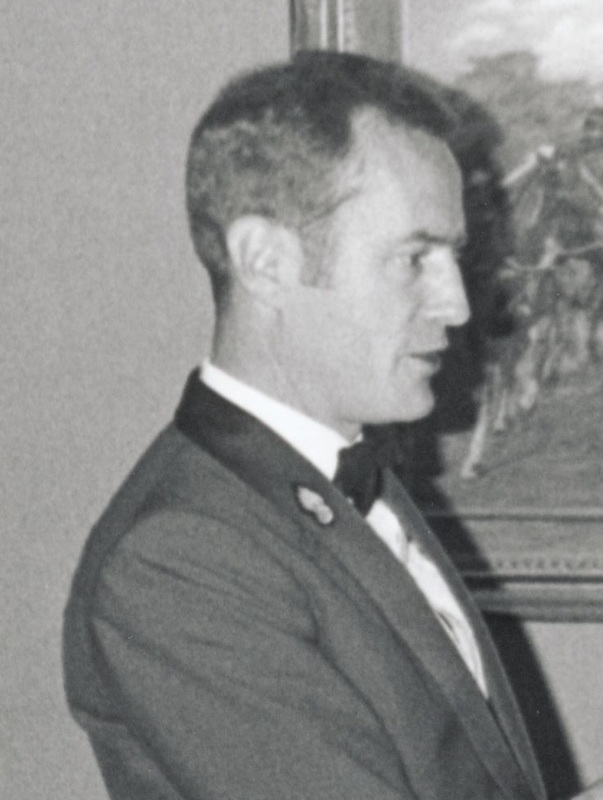 Ford, CR; Captain in Regimental Headquarters in 1969. 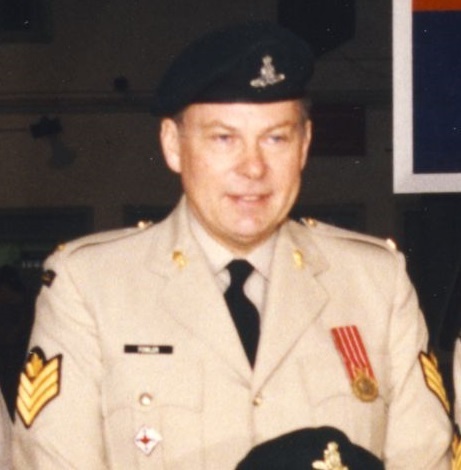 Ford, David Shawn; Taken on strength as a Gunner in 15th Field Artillery Regiment on 25 Apr 1985, qualified General Military Training on 11 Jul 1985, qualified TQ1 Musician on 2 Aug 1985, changed occupation to Musician on 14 Mar 1986, promoted Bombardier on 1 Jun 1986, qualified TQ2 Musician on 31 Aug 1986, qualified TQ3 Musician (Tuba) on 26 Jun 1987, qualified BTT Musician - Euphonium on 15 Aug 1987, transferred to 5(BC) Battery RCA on 10 Sep 1987, transferred to 15th Field Artillery regiment RCA on 1 Oct 1990, qualified QL3 Clarinet on 26 May 1991, promoted Master Bombardier on 7 Nov 1989, promoted Sergeant on 1 Nov 1991, qualified QL4 Euphonium on 29 Jun 1993, qualified QL3 Musician on 11 Aug 1993, released on 22 Feb 1995. 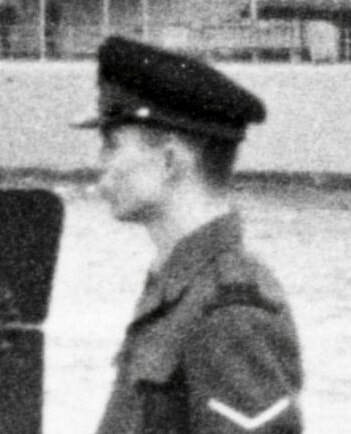 Ford, Earl Edmond; Taken on strength 15th Field Regiment RCA on transfer from 8 Technical Regiment RCEME CA (M) on 29 Apr 1955, struck off strength on release on 2 Feb 1956, taken on strength on enrolment on 30 Oct 1958. Ford, Ian George; Taken on strength 15th Field Artillery Regiment RCA on 2 Jul 1981, released 29 Jul 1981. 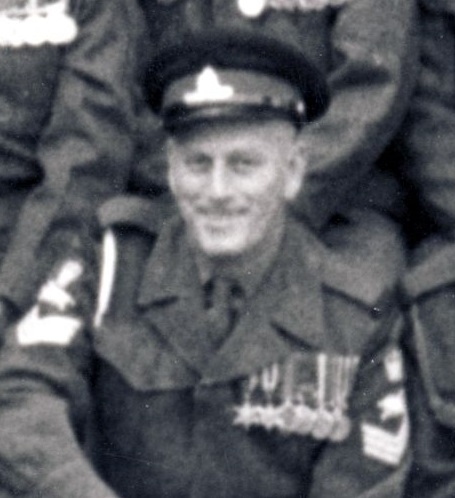 Ford, James Frederick; Taken on strength in 15th Field Regiment RCA on 15 Jan 1953, struck off strength on 25 Jun 1953. Ford, Russell Grant; Taken on strength 15th Field Artillery Regiment RCA on 19 Nov 1975, employed GAMESCAN from 9 Jun 1976 to 22 Aug 1976, qualified Artilleryman on 8 Jan 1977, appointed Officer Cadet on 17 Mar 1977, promoted Second Lieutenant on 1 Sep 1977, awarded parachutist badge on 8 Sep 1978, promoted Lieutenant on 1 Sep 1978, RESO IV on 11 Sep 79, Junior Staff Course Block 8 on 11 Sep 1979, transferred to Headquarters Militia Area Pacific on 15 Oct 1980, released 6 Sep 1981. Ford, RG; Private in 31 Battery in 1976. Ford, VM; Regimental Padre in 1969, Captain in 1969. 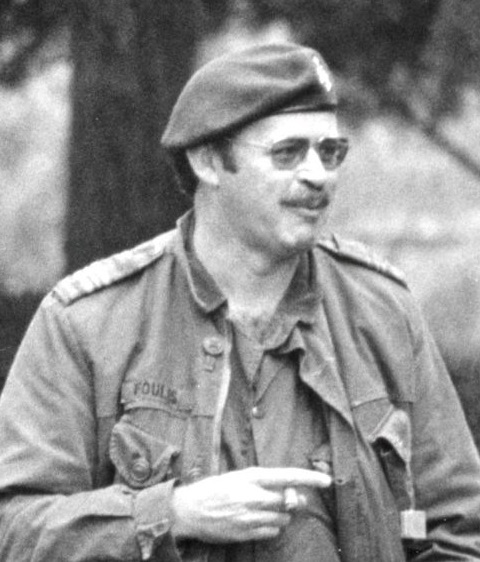 Fordyce, DM; Private in 85 Battery in 1969. Foreman, AL; Captain in 58th Heavy Battery 15th (Vancouver) Coast Brigade RCA in 1940. Forster, Murray Michael; Taken on strength 46th Regiment, attested Canadian Overseas Expeditionary Force 14 Jun 1916, regimental #340897, Gunner 70th Battery, arrived England on R.M.S. Mauretania 30 Nov 1916, to France 6 Mar 1917, taken on strength 68th Battery 16th Brigade North Russia Expeditionary Force 21 Aug 1918, proceeded overseas 20 Sep 1918, disembarked Archangel 1 Oct 1918, Gunner in "C" Sub Section, embarked for United Kingdom 18 Jun 1919, to Canada 5 Jul 1919, discharged 15 Jul 1919. Forsyth, John R; Taken on strength 158 Battery 15th Field Artillery Regiment RCA as a Gunner in 1966, promoted Bombardier Feb 1967, qualified Signaller Group 1 Block II 9 Apr 1967, qualified Senior Non-Commissioned Officer 29 Jul 1967, promoted Sergeant Mar 1968, qualified Artillery Technician 5 May 1968, appointed Regimental Communications NCO 1968 to 1969, listed on MOBCOM Cup Shilo Jul 1968, released Oct 1969, excelled in civilian career as Project Manager with Hewlett Packard Enterprise. Forsyth, JMc; On 1947-1967 list of reunion invitees. Fortin; Taken on strength 15th Field Artillery Regiment RCA, promoted Corporal, awarded Most Efficient Corporal of the Year 1992. Forystek; Gunner in 2003, Bombardier from 2007 to 2010. 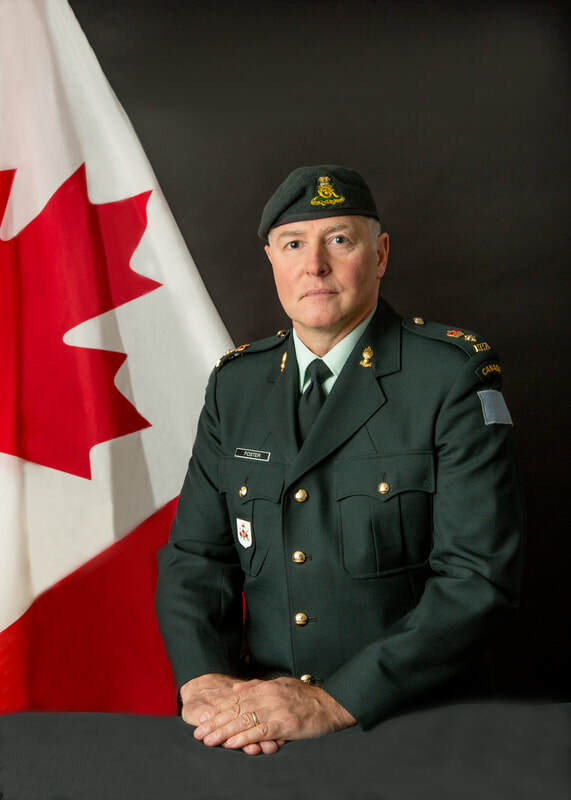 Foster, Don; Taken on strength as Honorary Lieutenant-Colonel 15th Field Artillery Regiment RCA 2017, Honorary Director of Lions Gate Hospital Foundation, has also served as a Director for the Chamber of Commerce in Coquitlam, Port Coquitlam and Port Moody. 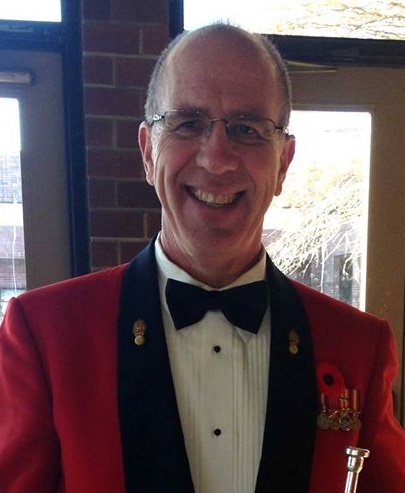 He has helped raise funds for Prostate Cancer Research, Outward Bound, North Shore Search and Rescue and is an active member of Ducks Unlimited, Chevalier of the Sovereign Order of St. John of Jerusalem Knights Hospitaller, Director on the Board of the Juno Beach Centre Association, Senior Investment Advisor with BMO Wealth Management. Foster, Kenneth David; Taken on strength as a Gunner in 15th Field Artillery Regiment RCA on 20 Mar 1999, released on 29 Aug 1999. Foster, Lawrence Berichon; Taken on strength as a Gunner in 49th Field Artillery Regiment RCA on 25 Feb 1993,qualified QL2 on 30 May 1993, qualified QL3 Artillery on 16 Jul 1993, qualified QL4 Basic Artillery Technician on 17 Aug 1994, transferred to 15th Field Artillery Regiment RCA on 18 Jan 1995. 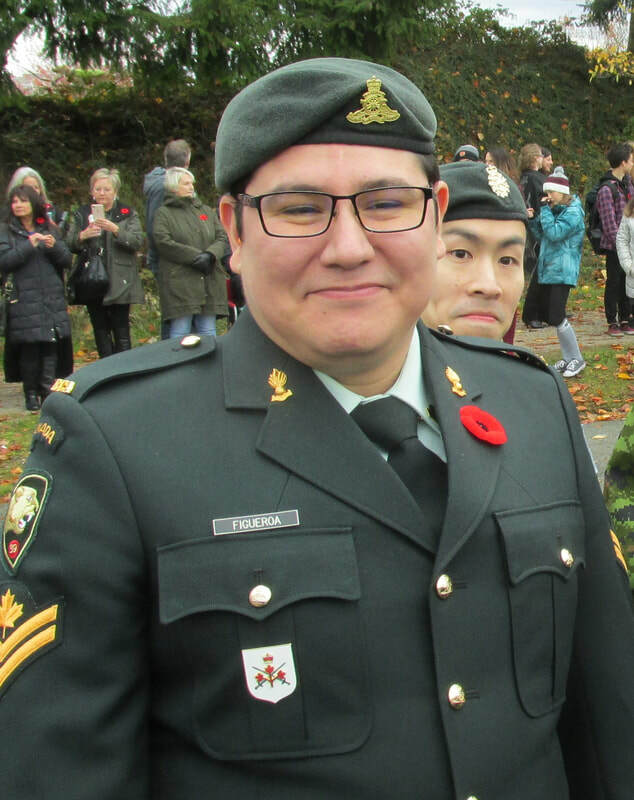 ​Foster, Joe D; Private in the Regimental Band from 2007 to 2015. Foster, Joseph Donald; Taken on strength as a Musician in 15th Field Artillery Regiment RCA on 14 Jan 1979, released 1 Oct 198​0. ​Foster, MC; Sergeant in 2011. 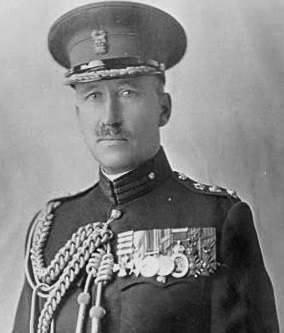 Foster, William Wasbrough; President of Conservative Party of BC, 2nd Battalion Canadian Garrison Artillery, 2nd Canadian Mounted Rifles in 1914, Commanding Officer 52nd Battalion in 1917, temporarily commanded 9th Infantry Brigade in 1918, Commanding Officer First Battalion (7th Battalion CEF) 1st BC Regiment (DCO) from 1924 to 1927, Honorary Colonel 15th Field Brigade CA from 1932 to 1938, Chief Constable of Vancouver City Police in 1935, President of Alpine Club of Canada, President of Royal Canadian Legion from 1938 to 1940, promoted to Major-General in Second World War, appointed Commissioner of Defense Projects in Canada's northwest, Head of BC Hydro, deceased 2 Dec 1954. Fothergill, Charlie; On 1947-1967 list of reunion invitees. Foulds, Andrew; Taken on strength in 1937, Sergeant in 15th (Vancouver) Coast Brigade RCA in 1939, overseas service, promoted Warrant Officer Class I, commissioned, reclassified Infantry Officer, taken on strength Seaforth Highlanders of Canada in Italy, struck off strength in 1945, taken on strength 2nd Battalion Princess Patricia Canadian Light Infantry, Korean service, deceased in 2008. Fowler, Douglas Weatherbee; Taken on strength 31 Battery 15th (Vancouver) Coast Brigade RCA NPAM 6 Aug 1940, assigned regimental number VV9432, appointed Acting Battery Quarter Master Sergeant 15 Sep 1940, assigned new regimental number K415502. Fowler, Jordan Mott; Canadian Army Medical Corps, Captain, 15th Brigade Canadian Field Artillery in 1916,embarked Halifax 11 Sep 1916, arrived Liverpool 22 Sep 1916, posted to Canadian Army Medical Corps Depot 18 Aug 1917, attached to 14th Brigade Canadian Field Artilllery 18 Aug 1917, proceeded overseas 20 Aug 1917, granted 14 days leave to Paris and Nice 25 Mar 1918, granted 14 days leave to United Kingdom 29 Oct 1918, posted to Canadian Army Medical Corps Casualty Co 11 May 1919, mentioned in dispatches in 1919, sailed to Canada 12 Jun 1919, discharged 24 Jun 1919, deceased 4 March 1966 Victoria BC. 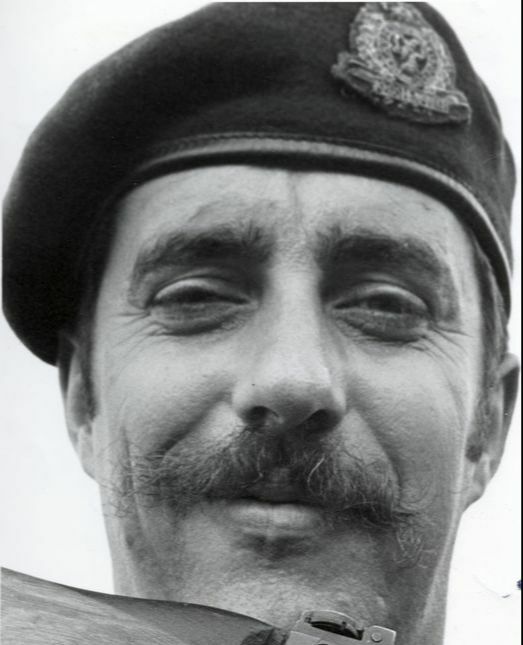 ​Fowler, Kenneth Robert; Corporal in the Regimental Band from 1976 to 1978, Sergeant from 1984 to 1994. ​Fowler, Richard Grant; Taken on strength as a Gunner with 15th Field Artillery Regiment RCA on 17 Feb 1977, qualified General Military Training on 18 Jun 1977, qualified TQ1 Artillery on 25 Aug 1977, promoted Bombardier on 1 Mar 1978, qualified TQ2 Artillery Technician on 13 Aug 1978, qualified TQ2 Driver Wheeled on 27 Aug 1978, Operational tour with United Nations Emergency Force II from 3 Nov 1978 to 24 Jul 79, authorized Bombardier on 1 Mar 1979, qualified TQ2 Artillery Communicator on 31 Jul 1979, promoted Master Bombardier on 1 Mar 1980, qualified TQ3 Detachment Commander on 16 Mar 1980, Bombardier on 18 Aug 1980, promoted Master Bombardier on 27 Apr 1982, released 15 Oct 1983. Fox, Christopher; Taken on strength Royal Field Artillery, attested 20 Sep 1914, B Battery Royal Canadian Horse Artillery, regimental #5902, Driver "A" Battery RCHA, absent forfeits 2 days pay 12 Nov 1914, absent forfeits 1 days pay 7 Jun 1915, absent forfeits 3 days pay 5 Jul 1915, embarked for France 18 Jul 1915, in confinement awaiting trial for sleeping on post 27 Sep 1915, sentenced to 2 years I Hard Labour 29 Sep 1915, unexpired portion of sentence remitted by OC Cavalry Brigade 10 Mar 1917, taken on strength Reserve Brigade Canadian Field Artillery 27 Apr 1917, taken on strength 1st Brigade Canadian Reserve Artillery 22 Jun 1917, taken on strength Royal Canadian Horse Artillery 26 Aug 1917, hospitalized colic 10 Jan 1918, invalided sick and transferred to Canadian Artillery Regimental Depot 15 Jan 1918, attached to 2nd C.C.D. 15 Feb 1918, ceases to be attached 29 Mar 1918, taken on strength Reserve Brigade Canadian Field Artillery 29 Mar 1918, struck off strength to 68th Battery 16th Brigade 21 Aug 1918 North Russia Expeditionary Force, proceeded overseas 20 Sep 1918, disembarked Archangel 1 Oct 1918, to hospital sick 2 Dec 1918, returned from hospital 12 Dec 1918, embarked for United Kingdom 18 Jun 1919, discharged in England 8 Aug 1919, deceased Dec 1955. Fox, EJ; Lieutenant in 85th Battery 15th Field Brigade Canadian Artillery in 1928, Captain in 1939 in the Corps Reserve of Officers. Fox, KN; Warrant Officer in the Regimental Band in 1969. ​Fox, Percy S; Gunner in 85th Heavy Battery 15th (Vancouver) Coast Brigade RCA in 1939, taken on strength 3rd Light Anti-Aircraft Regiment Royal Canadian Artillery, wounded at Dieppe 19 Aug 1942. Fraga, Joey De Manuel; Taken on strength as a Gunner in 15th Field Artillery Regiment RCA on 9 Dec 1982, qualified General Military Training on 31 Dec 1982, transferred to 12 Service Battalion on 12 Jan 1984. Frame, Douglas Frederick; Taken on strength in 15th Field Regiment RCA on 15 Oct 1953, appointed Lance Bombardier on 3 Apr 1956, promoted Acting Bombardier on 1 Apr 1957, reverts to Gunner, struck off strength on release on 15 Sep 1957. Francis, Kenneth Wayne; Taken on strength as a Cook in 15th Field Artillery Regiment RCA on 8 Mar 1984, qualified General Military Training on 30 Jun 1984, qualified TQ1 Cook on 14 Oct 1985, promoted Corporal on 14 Oct 1985, qualified TQ2 Cook on 17 Jan 1986, qualified Junior Leaders Course on 30 Jul A987, promoted Master Corporal on 5 Nov 1987, operational tour with United Nations Force in Cyprus from 30 July 1988 to 9 April 1989, transferred to Regular Force on 19 Oct 1990, operational tour with UNFICYP 31 Jul 1992 to 16 Mar 1992. Francis, Phillip E.; Taken on strength as a Gunner with the No. 5 Siege Battery Canadian Garrison Artillery on 17 Jul 1916, embarked on the S.S. Southland on 26th Sep 1916. Franner, Linda Ann; Taken on strength as Administrative Clerk in 15th Field Artillery Regiment on 4 Jul 1977, qualified Administrative Clerk on 11 Mar 1978, promoted Corporal on 1 Aug 1978, qualified Non-Trade Driver on 27 Aug 1978, released 28 Aug 1978. Franner, Linda A; Private in Regimental Headquarters in 1978. Fraser, David; Former member of the Seaforth Highlanders, attested for the Canadian Overseas Expeditionary Force on 26 Sep 1914, posted to 2nd Brigade Canadian Field Artillery, posted to France in May 1915, promoted Bombardier 29 May 1915, Severely reprimanded absent 30 Oct 1915, reverts to Gunner at own request 6 Nov 1915, sentenced to 9 months hard labour commuted to 3 months field punishment drunkeness striking superior escaping 3 Dec 1915, promoted Bombardier 16 Sep 1916, promoted Corporal 20 Nov 1916, granted leave of absence 5-18 Dec 1916, appointed Serjeant 5 Apr 1917, hospitalized 9-14 Aug 1917, granted leave 11-24 Dec 1917, invalided sick to England 26 May 1918, taken on strength 68 Battery 16th Brigade CFA 21 Aug 1918, reverts to Gunner at own request 8 Sep 1918, embarked to North Russia 20 Sept 1918, appointed Acting Bombardier 28 Sep 1918, arrived Archangel 1 Oct 1918, killed in action on 13 Nov 1918, buried in the Shenkursk Old Cemetery and then later moved to the Archangel Allied Cemetery. Fraser, DB; Private in the Regimental Band in 1969. ​Fraser, Donald LaLacheur; Taken on strength 31 Battery 15th (Vancouver) Coast Brigade RCA NPAM 6 Aug 1940, assigned regimental number VV9433, assigned new regimental number K415543. Fraser, Donald Roddie; Taken on strength as a Gunner with 58th Battery 15th (Vancouver) Coast Regiment RCA NPAM on 31 Jul 1940, assigned regimental number V9938, assigned new regimental number K416555. Fraser, Kenneth Bruce; Taken on strength from Supplementary List as a Gunner in 15th Field Artillery Regiment RCA on 1 Mar 1990, released on 10 Apr 1991. Fraser, Niall Riach; Taken on strength as a Musician in 15th Field Artillery Regiment RCA on 22 Oct 1981, qualified General Military Training on 11 Aug 1982, qualified TQ1 Artilleryman on 14 Oct 1982, changed Occupation to R021 Gunner, promoted Bombardier on 22 Oct 1982, qualified QL2 Artillery Technician on 8 May 1984, qualified Junior NCO Course on 29 Jun 1984, qualified QL2 Infantry Communications on 29 Jul 1984, promoted Master Bombardier on 22 Oct 1984, qualified TQ2 Artillery Communications on 16 Nov 1986, released 18 Jun 1988. ​Fraser, Theresas Doreen; Taken on strength as a Gunner in 15th Field Artillery Regiment RCA on 4 Feb 1993, qualified QL2 Common Recruit on 6 Mar 1994, qualified LFC Driver Wheeled on 8 Jan 1995, released on 9 Jan 1996. ​Fraser, Tom H; On 1947-1967 list of reunion invitees. Freeborn, CE; Staff Sergeant listed on the Warrant Officers and Sergeant’s Mess gong. ​Freeborn, Ernie L; Staff Sergeant listed on the Warrant Officers and Sergeant’s Mess gong. Freeman, H; Lieutenant in 15th (Vancouver) Coast Regiment RCA in 1942. Freeman, Sue A; Taken on strength as a Musician in 15th Field Artillery Regiment RCA, Bombardier from 2007 to 2017. French, Fred Charles; Attested Canadian Overseas Expeditionary Force 11 May 1916, 50th Queen's Battery, transferred to 72nd Overseas Depot Battery 31 May 1916, embarked Halifax 24 Oct 1916, disembarked Liverpool 2 Nov 1916, taken on strength Reserve Brigade 5 Nov 1916, embarked for Overseas Service 17 Mar 1917, attached to 1st Canadian Division Ammunition Column 21 Mar 1917, transferred to 8th Brigade Canadian Field Artillery 7 Jul 1917, Shell Wound left Hip 3 Dec 1917, taken on strength Canadian Artillery Reinforcement Depot 10 Jun 1918, taken on strength Composite Brigade 23 May 1918, taken on strength 68 Battery 16 Brigade 21 Aug 1918, proceeded overseas to North Russia Expeditionary Force 20 Sep 1918, disembarked Archangel 1 Oct 1918, awarded Military Medal in recognition of gallant conduct in the field 8 Apr 1919, embarked Archangel for the United Kingdom 11 Jun 1919, to Canada 5 Jul 1919, discharged 15 Jul 1919, deceased 11 Sep 1979, interred Saint Andrews and Saint James Cemetery Simcoe County ON. ​Frewin, Donald Albert; Taken on strength 31 Battery 15th (Vancouver) Coast Brigade RCA NPAM 30 Jul 1940, assigned regimental number VV9434, assigned new regimental number K415544. Friday, Francis Kenneth Walter; Taken on strength 15th Field Regiment RCA on 28 Jan 1958. Friedrich, Robert Paul; Taken on strength as a Gunner in 15th Field Artillery Regiment RCA on 15 Mar 1984, released on 30 Nov 1984. ​Friedsam, Donald Stuart; Taken on strength as a Gunner in 15th Field Artillery Regiment RCA on 18 Jan 1968, qualified General Military Training on 10 Dec 1968, qualified 0021 Artilleryman (M) on 16 Mar 1969, qualified Junior NCO on 5 Apr 1970, promoted Bombardier on 1 May 1970, completed Senior NCO part I on 7 Feb 1971, qualified Senior NCO on 27 Mar 1972, promoted Sergeant on 1 Apr 1972, promoted Warrant Officer on 1 Oct 1974, qualified TQ2 Artillery Driver Wheeled on 23 Sep 1976, qualified TQ2 Basic Artillery Technician on 2 Sep 1976, qualified Safety Officer on 30 Oct 1977, qualified Master Warrant Officer on 27 Jul 1978, promoted Master Warrant Officer on 1 Sep 1978, promoted Chief Warrant Officer and appointed Regimental Sergeant Major on 19 Jan 1980, commissioned Acting Captain on 5 Nov 1981, released on 26 Jan 1985, deceased 27 January 1988. 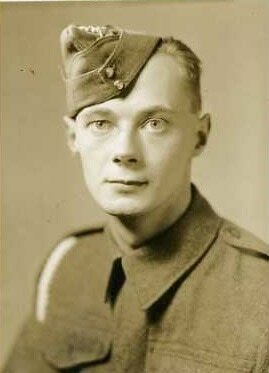 Friemark, Dennis Joseph; Taken on strength 15th Field Regiment RCA with former service Royal Canadian Air Force on 18 Sep 1958. ​Friend, George Allen; Taken on strength 15th Field Regiment RCA on 28 Mar 1955, struck off strength on transfer to The Westminster Regiment on 1 Oct 1955. Fries, Robert Joseph; Taken on strength 15th Field Regiment RCA on 24 Oct 1957, struck off strength on release on 1 Feb 1958. ​Fujii, Junichi; Taken on strength as a Musician in 15th Field Artillery Regiment RCA, Bombardier from 2007 to 2017. Fullam, Kevin Anthony; Taken on strength as a Gunner in 15th Field Artillery Regiment RCA on 20 Jan 1983, released on 2 Mar 1983. Fullerton, James Thornton; 5th Regiment Canadian Garrison Artillery Nov, 1916, Fifth Divisional Ammunition Column Victoria, Lieutenant March 1917, Attached 68th Battery Canadian Field Artillery Oct 1917, England Dec, 1917, France Third Canadian Division Trench Mortars April 1918, 89th Battery CFA Sept 1918, Canada and discharged April 1919. Funk, Kelly Ann; Taken on strength as a Musician in The Royal Westminster Regiment on 13 May 1986, qualified General Military Training on 14 Jun 1986, qualified TQ2 Musician on 31 Aug 1986, qualified TQ1 Musician on 31 Aug 1986, attached to 15th Field Artillery Regiment RCA on 1 Oct 1986, transferred to 5 F(BC) Field Battery RCA on 1 Oct 1987, qualified TQ2 Clarinet on 15 Aug 1987, promoted Corporal on 15 Aug 1987, qualified TQ3 Musician on 18 Aug 1988, transferred to 15th Field Artillery Regiment RCA on 20 Oct 1988, qualified Junior Leader Course I & II on 13 Jun 1989, qualified QL3 Administration on 15 Apr 1990, transferred to British Columbia Regiment on 1 May 1990, qualified QL4 Administration on 13 Aug 1990, transferred from Supplementary Ready Reserve to 15th Field Artillery Regiment RCA on 2 Feb 1994, transferred to Seaforth Highlanders of Canada on 9 Apr 1997.